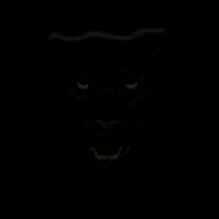 The show opens in an African river port, where, while dining with his old friend D’Arnot, Tarzan is mistaken for a man known as Brian Gregory, who has been missing in Africa. Gregory had found a lost treasure before he disappeared and the expedition looking for him is passing through the region. Tarzan joins the expedition which includes Gregory’s sister, Helen, and later, the villain Atan Thome. The adventures en route to and within the Forbidden make for an entertaining radio series. 7 Legend Of The "Father Of Diamonds"
Why "Red Star?" 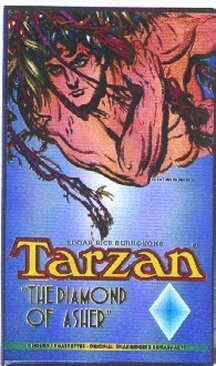 Upon reading the prologue of the Argosy version (not in the book version) (see ERBzine 0729), you will find that a witch-doctor mentions Tarzan and "the red star" which would lead him to a world long dead. Also, the fact that the Munsey line of magazines were at that time referred to as "Red Star" magazines, ay or may not have been a coincidence. 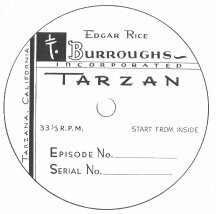 TARZAN -- PRODUCED BY ERB, INC.
by Robert Barrett Burroughs began advertising for scriptwriters in early 1934 and produced a three-page "suggested outline for new series of 39 Tarzan episodes." The reason for this outline was to give copies to potential scriptwriters responding to his ads and to ask them to write one or more episodes to give him an idea of their abilities and whether they understood the character of Tarzan. After narrowing the field down to six writers, Robert (Rob) W. Thompson was chosen. 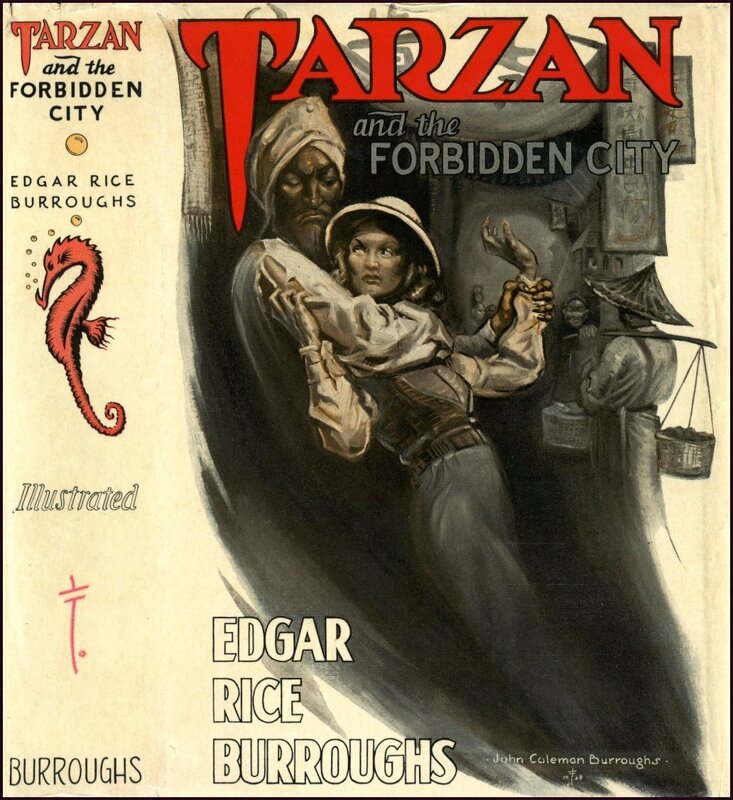 It has been assumed for years that the two Tarzan radio serials produced by Edgar Rice Burroughs, Inc. were adapted from either a story or synopsis written by Burroughs. However, Rob Thompson wrote these stories, furnishing Burroughs with synopses of each of the thirty-nine episodes for two serials which Ed would critique and make suggestions on. James Pierce and his wife, Joan Burroughs Pierce, decided not to continue in their roles of Tarzan and Jane. Jim Pierce, however, continued in radio starring in an obscure adventure show entitled "Sky Gypsies." Many of those responsible for the Dahlquist shows would continue on the programs produced by Burroughs, and many of the same stars stayed too. Fred Shields would direct, and John McIntire would be the announcer. 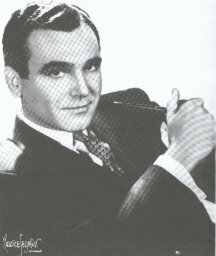 Carlton Kadell would take over the role of Tarzan, but Ralph Scott would reprise his role as Paul D'Arnot. John McIntire's wife, Jeanette Nolan, played the second female lead in the firs serial, Tarzan and the Diamond of Asher. 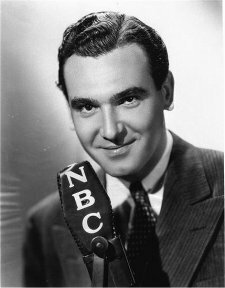 All of the Tarzan radio shows, rom those in the 1930s to the half-hour shows in the 1950s, were produced on the West Coast, using California radio talent. 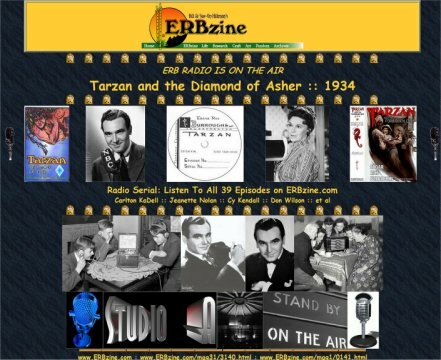 Tarzan and the Diamond of Asher was broadcast over thirty-six radio stations, including stations in Hawaii, Canada and Australia. Published by Radio Spirits, Inc.
From ERB ON THE AIR: ERBzine 0141 "There is one factor that may have more effect on reducing book sales than any number of depressions, and that is radio, to which we are looking for far greater returns than our book royalties ever brought us. Already, with two programs, we are netting more than we do from the sale of all our books, which, taken in connection with the fact that there are hundreds of similar programs on the air, suggests that people are taking their fiction this way instead of through books." When the contract with American Radio Features came up for renewal in March 1934, they had not quite finished serializing Return; and Tarzan and Jane were not yet married. ERB did not renew the contract and took over production of the series himself. He had started a Tarzan script with a strong part for Jane which he wrote with daughter Joan in mind but before production could begin, Joan Pierce dropped out (she may have been pregnant) and Jim Pierce announced that he would prefer not to appear without his wife. ERB contacted all the show's clients and promised that the show would go on -- better than ever. He proceded to write another script without Jane. The now-shelved "Jane" script was subsequently turned into the novel, Tarzan's Quest. 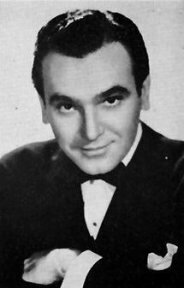 Stage and radio actor Carton KaDell was signed for the Tarzan role and a large group of experienced actors was signed for the supporting cast.. Each story was planned to be a 39-episode serial spread over 13 weeks. Burroughs provided the plot outline for the first series: Tarzan and the Diamond of Asher. 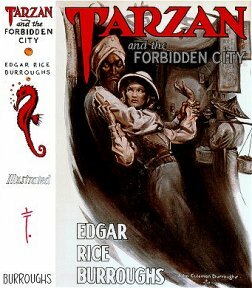 ERB's story continued on from the point in The Return of Tarzan where the previous series had been interrupted. For continuity he kept the characters Lord Tennington and Hazel Strong but he wrote Jane out of the script. From ERBzine 0144 Although originally broadcast in 1934, the following introduction was penned by Edgar Rice Burroughs for the announcer to read as an introduction to a 1940 broadcast of Tarzan And The Diamond of Asher. This serial started on May 14, 1934, airing Mondays, Wednesdays and Fridays, consisting of 39 15-minute episodes. It was directed by Fred Shields and narrated by John McIntire. Read the ERBzine synopsis, analysis, and review of this series. Red Ryder, Armstrong of the SBI, Sky King, and many soap operas. 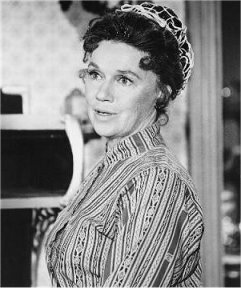 Jeanette Nolan was born on December 30, 1911, in Los Angeles, California. She began her acting career at the Pasadena Community Playhouse and made her radio debut in 1932 in "Omar Khayyam", the first transcontinental broadcast from station KHJ. She continued acting until the 1990s. Her final film appearance was in Robert Redford's "The Horse Whisperer" as Robert Redford's mother. She was the wife of actor, John McEntire, and the mother of actors, Tim and Holly McEntire. She died on June 5, 1998, in Los Angeles, California following a stroke at the age of 86.